Salmonella is bacteria which is responsible for a wide range of infectious diseases in humans and animals. They cause serious illnesses and even death in some cases. Your local Walk in Clinic will inform you about the different diseases caused by Salmonella. 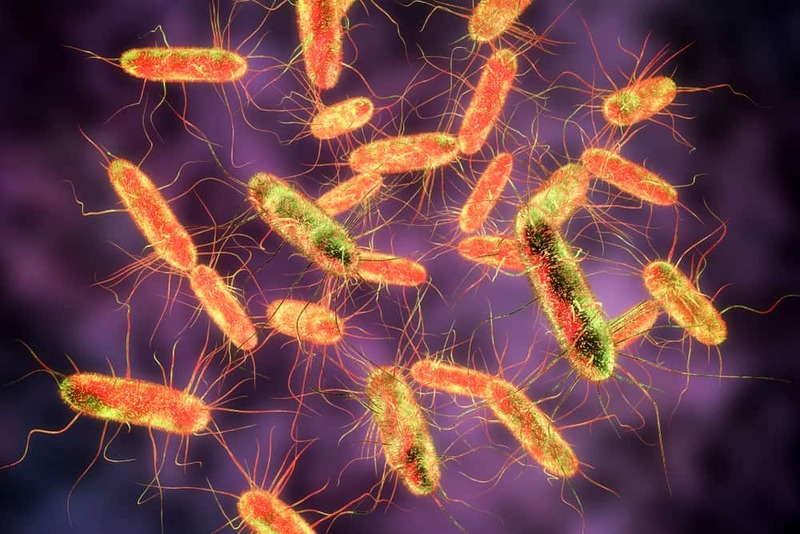 The most interesting and horrifying thing to know about Salmonella is that it has developed resistance against most commonly used antibiotics and are specifically adapting to survive in human hosts. Here in this article, we’ll tell you all you need to know about these bacteria, how it may affect you and how to protect yourself against these dangerous and sometimes deadly bacteria. Salmonella bacteria are found in the intestine of humans and animals. They exist widely in the environment especially anything close or related to feces such as human feces, waste materials from the farms or sewers. They can affect and spread through the milk, eggs or meat of the infected animals or through vegetables and fruits if they come in contact with sewage water and manure in the soil. There are two species of salmonella, Salmonella enterica, and Salmonella bongori. Both species of the bacteria further have many different types. Both of these species can cause illness but Salmonella enterica is the type that’s mostly heard of as it is a major cause of an infectious disease called Salmonellosis. According to the World Health Organization (WHO), Salmonella enterica affects 18 million humans annually. Salmonella enterica has six subspecies but the major ones are Salmonella Typhimurium and Salmonella Typhi. Both of these types seem to be similar but they have their own distinct characteristics. There is a difference in the genetics of these two types hence the infections they cause are also different. Salmonella Typhimurium affects humans and animals. The bacterium is transferred to humans and other animals through animals and animal products. The bacteria may even transfer from the ovaries of the birds to their eggs. When the animals are slaughtered and cut for their meat, the bacteria transfer from their intestines to their meat and find a new host. Visit the nearest Walk in Clinic to learn more about how the bacteria transfer from one host to another. This type of Salmonella enterica causes abdominal cramps, vomiting, fever, and diarrhea due to intestine inflammation. Generally, the human body fights off the bacteria on its own and no antibiotics are needed but if the body’s immune system is compromised, medical attention is necessary. This type of bacteria is very dangerous for human health as it affects only humans and causes serious health issues. The bacterium is common at places where the condition of the hygiene is poor and the sewage contaminates the water. It causes typhoid fever and the symptoms may include weakness, stomach pain, headache, fever, and loss of appetite. Affected people carry the bacteria in their blood and it comes out through their feces. Proper treatment is necessary or the salmonella typhi infection may cause inflammation of the heart, intestine rupture, liver damage, internal bleeding, and even death. Typhoid fever is fatal in 20 percent of the cases. In order to stay safe from these dangerous bacteria all you have to do is to take care of some very basic things. As these bacteria spread through animals or animal products, cook your food properly to kill the bacteria before consuming your food. Wash and peel raw foods if possible. Take good care of your hygiene. Wash your hands after touching animals, their bedding and their toys. Wash your hands properly before and after eating your food. If you feel any of the symptoms mentioned above and you think that you’re infected, contact medical professionals at your local Walk in Clinic. How to Improve Your Heart Health?